Male pregnancy. A long, tube shaped mouth with no teeth. A body covered with bony plates. These are the odd, quintessential features of seahorses, but why? Scientists dove into this question on Wednesday by publishing the first complete sequence of a seahorse genome. 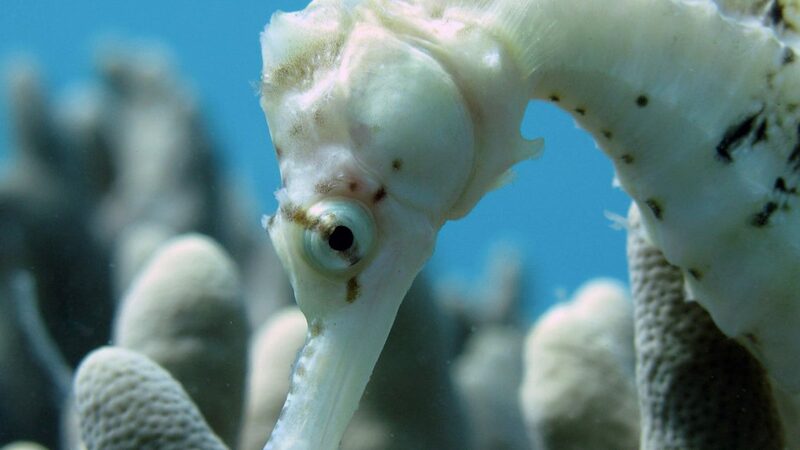 “We have discovered an array of changes in the genome, which helps to explain why the seahorse looks the way it does,” said Byrappa Venkatesh, a study co-author and molecular biologist with the Agency for Science Technology and Research (A*STAR) in Singapore. Venkatesh and his colleagues sequenced the genome of Tiger Tail Seahorses, hippocampus comes, and compared their traits to close relatives, like Pipefish and Seadragons. What they found explains many of the creature’s oddities. For instance, seahorses are missing “P/Q-rich SCPP” genes, which cause minerals to collect into teeth. This toothy void may explain why seahorses develop their narrow, straw-like mouths. Another example involves the seahorse’s lack of pelvic fins, which provides their armour like appearance. Seahorses are missing the gene “tbx4,” which normally tells an embryo where to grow its hind limbs – or pelvic fins, in the case of fish. The team landed short of clarifying the mystery of male pregnancy, also known as being gravid. Male seahorses hold fertilized eggs in a brood pouch until the hatchlings are born. The study found this brood pouch contains a large number of genes from a family known as astacin metalloproteases, which are responsible for embryo hatching. But Kenyon Mobley, an evolutionary biologist at Ecole Polytechnique Fédérale de Lausanne in Switzerland who wasn’t involved in this study, said there are still open questions about paternal care. “The evolutionary transition from maternal care to paternal care is still unknown,” said Mobley. In other words, the genome alone doesn’t provide a step-by-step story for how seahorses switched from moms to dads caring for their babies. Mobley said it’s possible that paternal care was a byproduct of losing another trait rather than a critical step in the seahorse evolution. But he said the study presents the highest resolution of the seahorse genome to date, and that it’s an important first step in uncovering the genetic underpinnings of a unique species that has existed for 13 million years. “We are learning a bit more with every study like this in an effort to understand the world around us… from genes to whole organisms,” agreed Mayer.